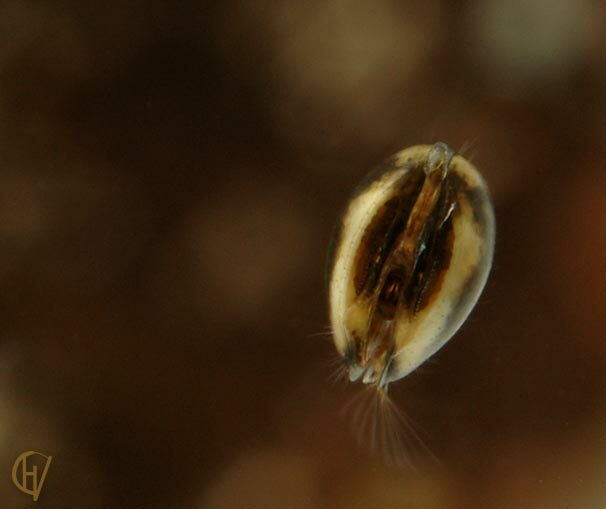 This ostracod has a special way of life: unlike the other species it swims right under the surface film and filters the edible particles which are there. It is fun seeing a group of these animals, sometimes quite, then racing after each other like a group of children. 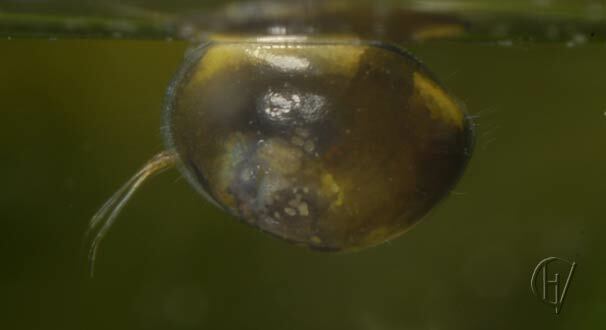 The specimen on the picture is seen from above the water surface, so we look at the lower side of this ostracod. On the picture below a side view. Notodromas has a rather linear side, with which it hangs on the water surface. 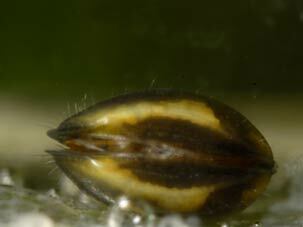 This ostracod can swim under water very well too, or lay down on the bottom for a while. It looks like a little mussel then.